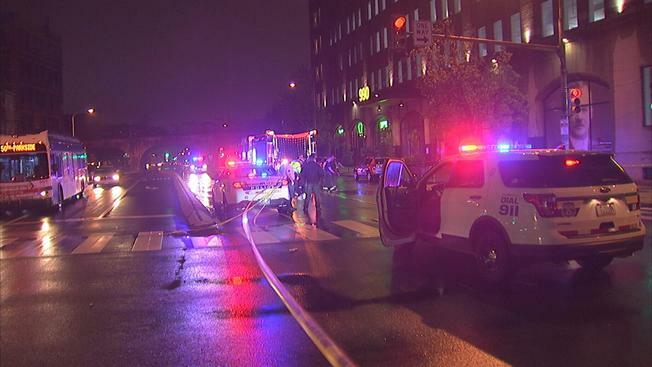 A cyclist was struck and killed by a motor vehicle driver on Saturday night on Spring Garden near 10th Streets. According to media reports, police showed up at the scene at 7:45pm and the cyclist, a 34-year-old man, was already dead. It appears the cyclist was hit by a motor vehicle from behind, as reports indicate both vehicles were headed east. Also according to reports, the motorist who hit the cyclist remained on the scene and there have been no charges in the crash, yet. To be clear, we have heard some conflicting accounts of the crash and the aftermath. We will continue seeking out the facts of this case. What we do know, as of 10:35 on Sunday morning, is that the cyclist was a professional courier. The victim, Pablo Avendano, worked at Sparrow Cycling Couriers and Caviar. After the Bicycle Coalition shared this story on social media Saturday night, there was an outpouring of responses from cyclists who use Spring Garden Street, which is the most-ridden east-west bike lane north of Center City. The lane itself was restriped last summer and the paint is still prominent on the street, with some blocks buffered, some not. The block where this crash took place does not have a painted buffer. There has long been a plan to create a “Greenway” on Spring Garden Street, which would physically protect cyclists from motorists, but funding has not yet been raised for implementation. Particularly disturbing in light of this crash is a video that had been circulating on Twitter before the crash. The video depicts the point of view of a person driving a car into the back of a cyclist in a bike lane, allegedly in Philadelphia. Whether the video is real or a joke, it makes light of Philadelphia’s oft-deadly streets, and the comments below the video indicate — again, whether this is trolling or real — glee over a cyclist being injured by the driver of a motor vehicle. Just to be clear, the video posted is not of the Spring Garden crash. We’ve linked the tweet below, and be forewarned that it may be too disturbing for some. Tonight’s fatal bike crash on Spring Garden makes this video even more outrageous. We will update on our blog as more information becomes available. The timing of this deadly crash is a cruel irony, as the 2018 Ride of Silence will take place on Wednesday of this week.